We have all hit a plateau at some point or another; some of us are on a permanent plateau for that matter. Generally it is because our bodies have adapted to our weightlifting routine and are no longer forced to grow from it. Follow these tips to break through that plateau and take yourself to the next level. A lot of people get stuck in the same number of reps, usually between 2-10 reps. A good way to break that routine is to start mixing in days where all your sets are 15-20 reps or more. The muscle has likely grown accustom to your sets of 10 reps and under so throwing in some high repetition days will work the muscle in a rep range it is not used to, thereby forcing the muscle to adapt which will result in greater size and strength as it tries to adapt. Many people also get stuck in the same routine of doing the same exercises over and over. If you keep doing the same thing your body will adapt, especially if it is always the same exercises and number of reps. Along with mixing up the number of reps you need to vary the exercises too. For example if you are one of those people who does only bench press and incline press for chest try mixing in a hammer strength machine or try using dumbbells instead of barbells every time. Your body adapts to your routines quickly so keep it guessing and keep the gains coming. 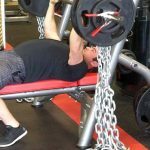 Drop sets are a great way to give your muscle a high intensity workout that will shock the muscle and lead to new gains. Basically what you do in a drop set is do set to failure with a certain weight then lower the weight and immediately do another set to failure then drop the weight again and do another set, typically doing three to four sets in one drop set. One good way of doing a drop set would be doing something called Running the Rack. An example of Running the Rack would be to start with dumbbell curls at say 50 lb., do a set to failure then immediately move down to the 40 lb. dumbbells and do a set to failure then go down to 30 lb. dumbbells and so on. Thus running the rack of dumbbells. Try not to do it this too often though because it can lead to over training if you overuse it. 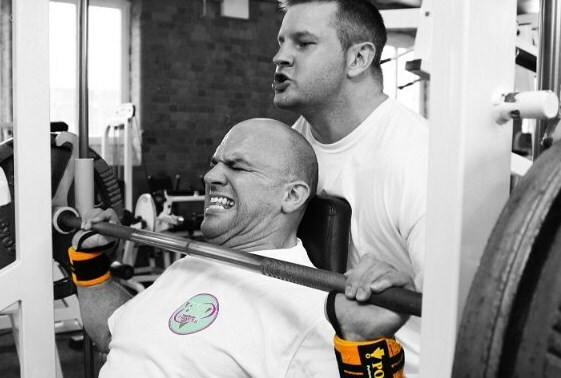 Hundreds training is a great way to shock the muscle and give an amazing burn. What you do in hundreds training is start off with a very light weight that you can do about 50-60 reps with. Do your first set to failure, let’s say you do 55 reps, this means you have 45 more to go until you get to 100, and therefore you wait that amount of seconds (45) before your next set. Once the 45 seconds is up you do another set to failure with the same weight. Let’s say you can only 20 reps on this set, that will give you 75 total leaving 25 reps until 100 so you wait 25 seconds and do a set and so on until you get to 100 reps. This will give you an amazing pump and a good deal of soreness the next day and maybe several days later the first time you use it, that means it is working. This method seems to work the best on chest and bicep exercises but is great for all body parts. Be careful of over training with this technique as well. This is another good way to get some extra reps after you have gone to failure. What is done with a rest/pause is you do an exercise to failure then you rest about 15-20 seconds then you do a couple more reps to failure, rest another 15-20 second then try to squeeze out a few more reps. This is done typically 2 or 3 times after the initial set is done. 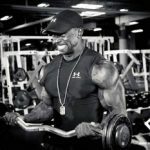 This allows you to get more reps out of a set than you typically would get therefore stressing the muscle more than it is used to and stimulating new gains. There you have it, five good ways to get you past that plateau and on your way to new gains. Remember the whole idea behind all of these is to keep working the muscles in ways that they are not used to be worked and not letting them adapt to your routine. This will force them to get stronger and larger in order to adapt.